With today’s political climate, advertisers are more keen than ever to get their messaging to their target audience in the most direct ways possible, especially in a market like Washington, D.C. A combination of specifically-targeted out of home media and an on the ground campaign with brand ambassadors and branded materials, can help take your message throughout a market. 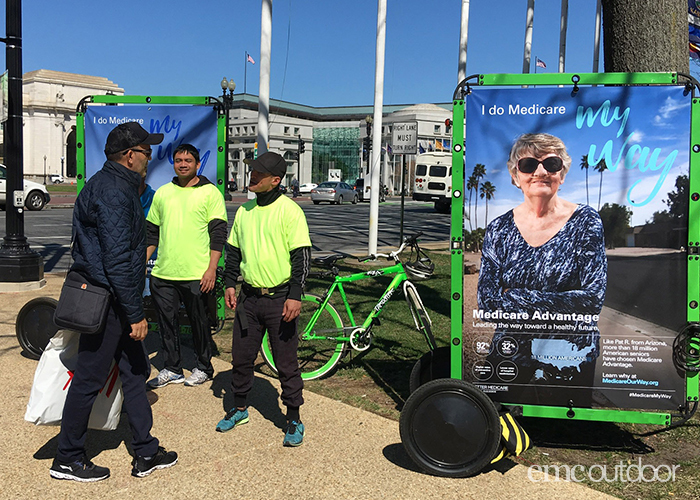 Better Medicare and their agency teamed up with EMC Outdoor and Events to reach heavily trafficked areas of Washington, D.C. 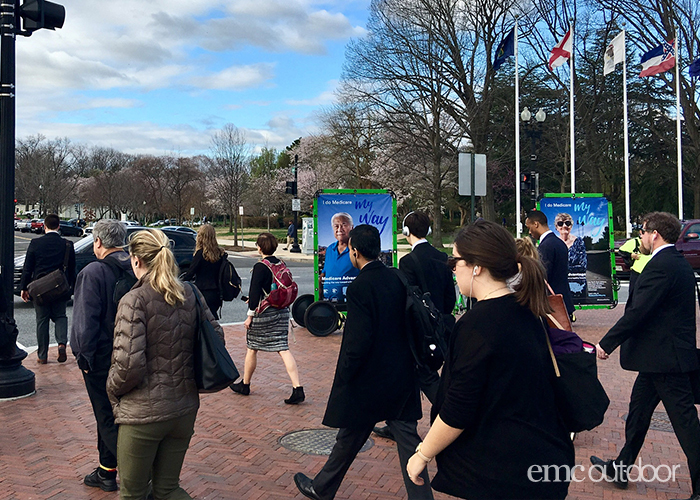 Focusing on the heavy commuter traffic within the nation’s capital, as well as the work-life flow that comes with an urban setting, EMC Outdoor and Events examined the best ways to target the audience at specific chokepoints in the city. 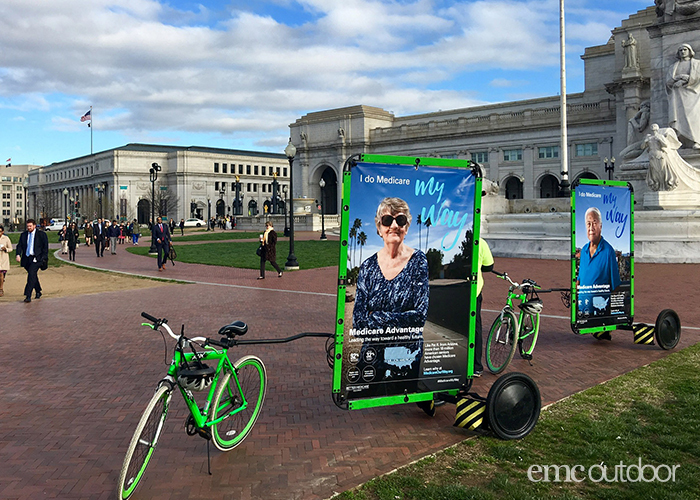 Key locations for brand ambassadors around Capitol Hill included Union Station, Capitol South, the House and Senate buildings and the restaurant district on Capitol Hill. 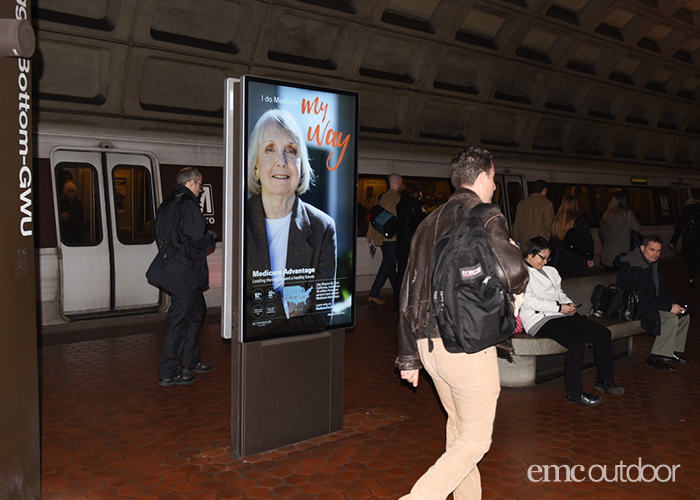 Strategy: To utilize commuter rail out of home media to reach the target audience as they commuted within the Washington D.C. area. The bikes were used hyper-target the audience as they worked their way throughout Capitol Hill. 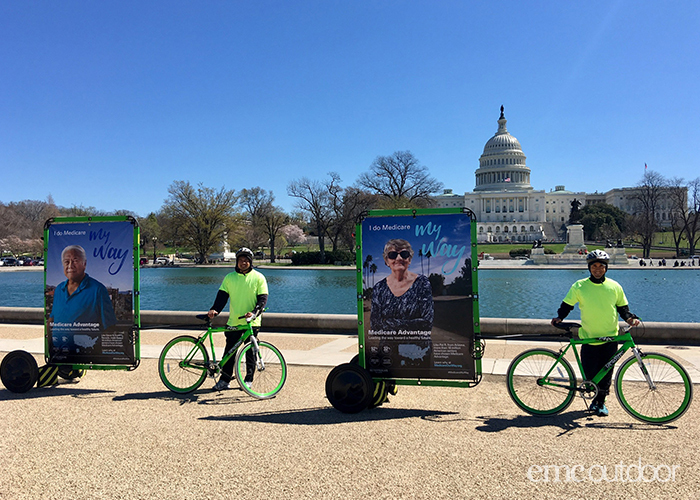 The branded bikes were ridden around Capitol Hill, the House and Senate buildings and prominent lunch areas where the target audience would be eating. 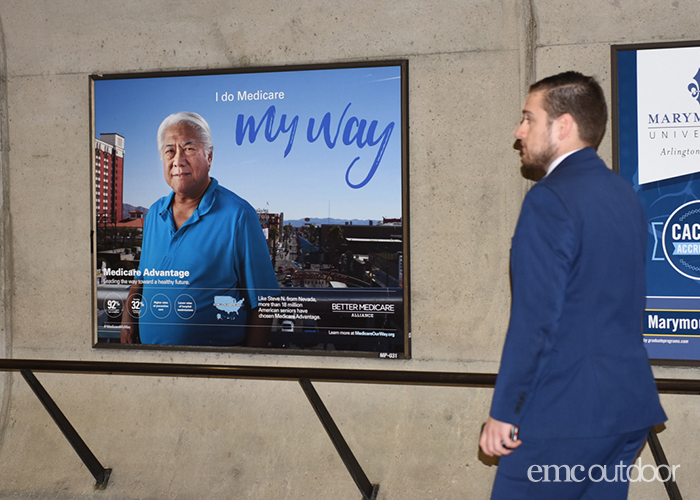 Tactics: To reach the intended demographic, EMC Outdoor and Events placed the different creatives around the D.C. Metro. 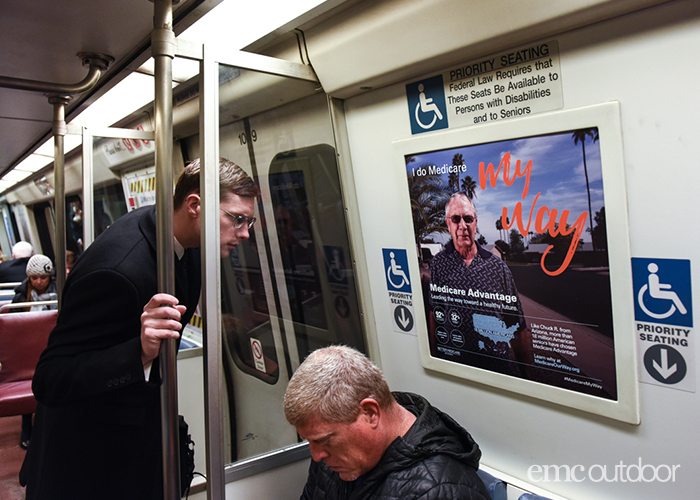 Different media in the underground stations and on the trains included two-sheet posters, digital displays and interior cards. 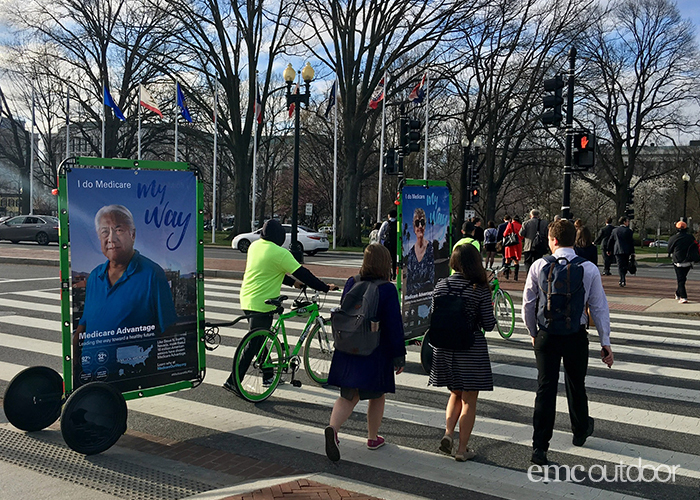 The branded bikes were used to target those commuting from the stations, to between buildings and throughout separate areas in Capitol Hill. 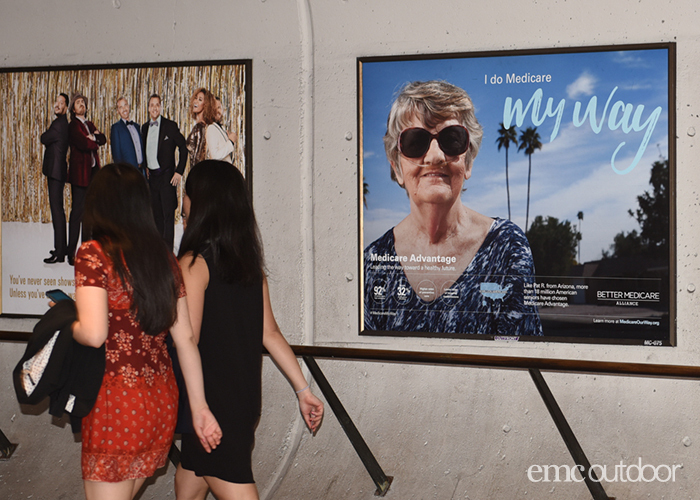 Results: The multiple creatives caught the eyes of people passing by on the Metro, as well as on the streets surrounding Capitol Hill. Many people stopped to comment, ask about the messaging or to take pictures of the branded bikes. 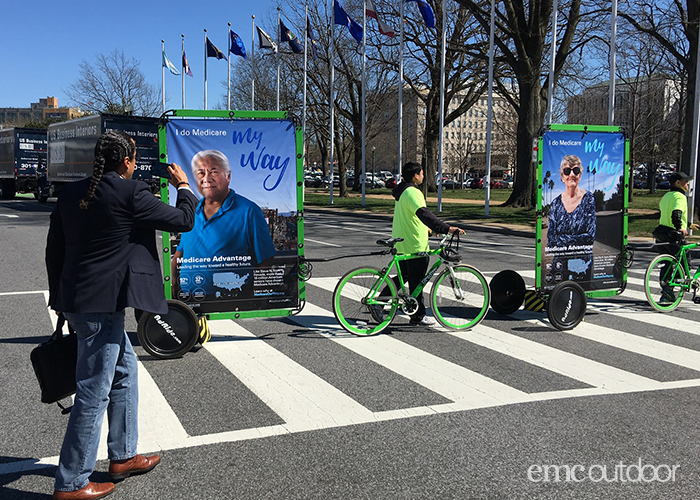 Contact us to learn more about how EMC Outdoor and Events can combine a traditional media campaign with an experiential activation, to get the most impact for your message. 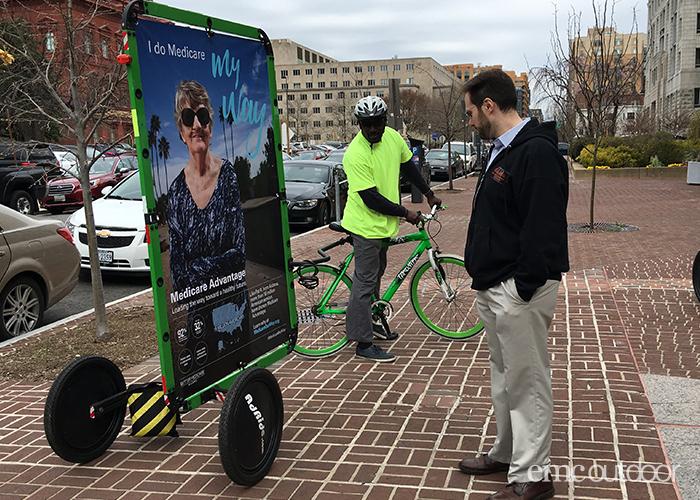 July 6, 2017 | Filed under Bike Displays, Commuter Rail & Subway, Daily Updates, Event Marketing, Featured, Street Teams and tagged with bike displays, commuter rail, commuter rail ads, event marketing, experiential, healthcare marketing, out of home, out of home advertising, outdoor advertising, Street Team, street teams, Washington DC.